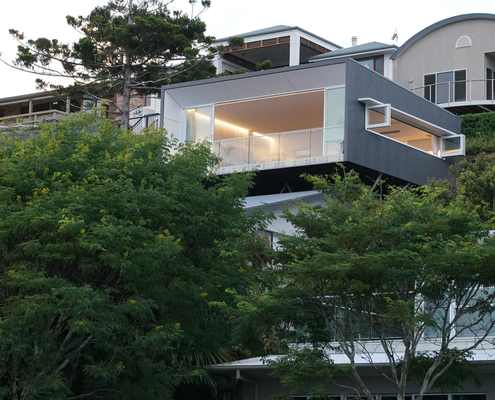 Yeronga Renovation by Smith Architects Love Mountain Sports? 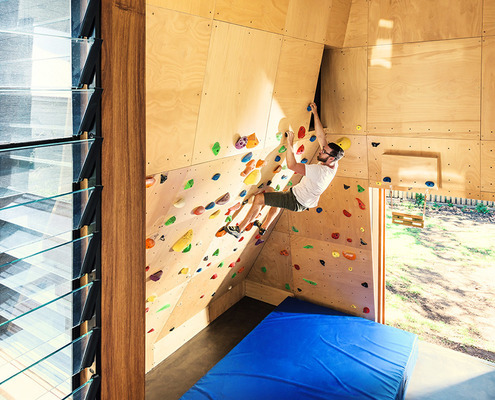 Put a Climbing Wall in Your Lounge Room This adventurous renovation transforms an ugly duckling into a fun and functional family home, celebrating the owners' hobbies. 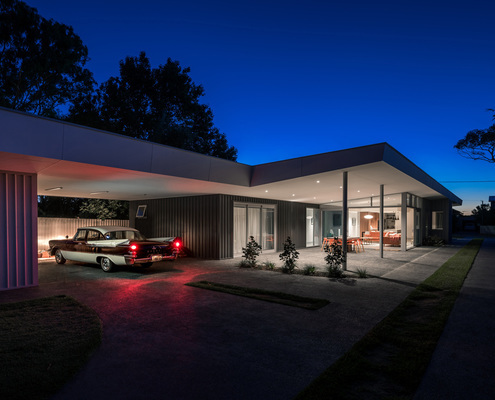 Golf Course House by Bespoke Architects A New Home to Appeal to Lovers of Mid-Century Design With views over the golf course, the architect achieved a mid-century-inspired design, while adhering to local design guidelines. 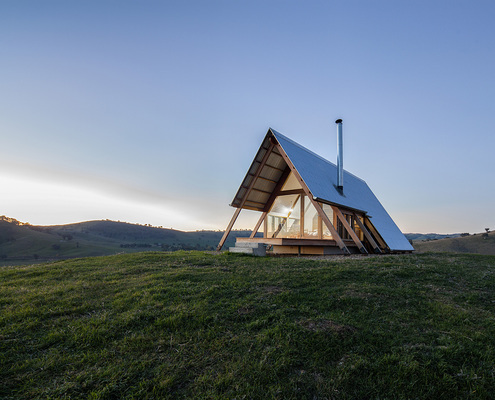 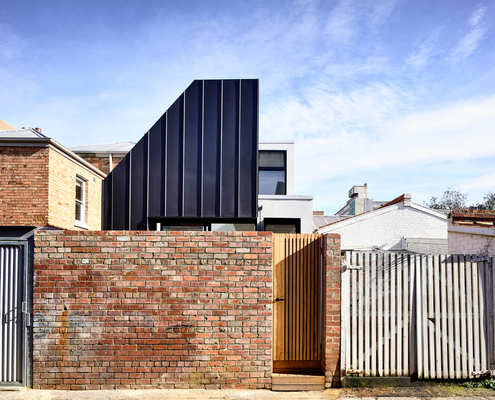 Brunswick West House by Taylor Knights Introvert or Extrovert? 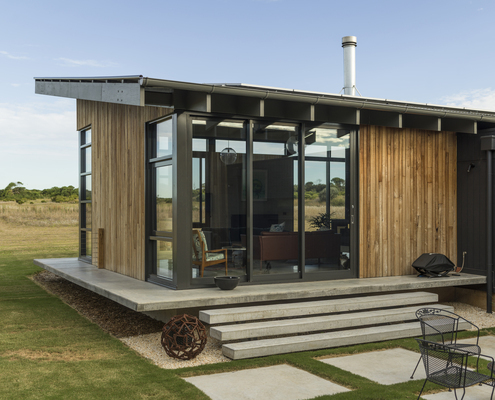 Here's an Open-Plan Space with Room for All! 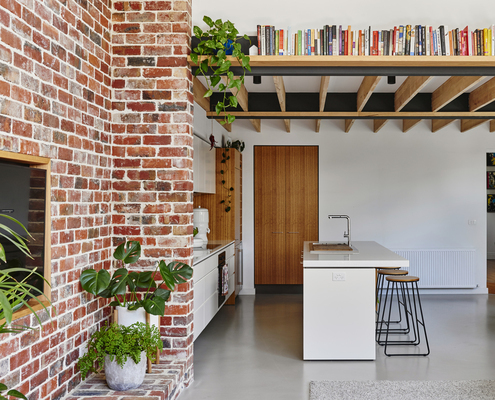 Three sculptural walls create nooks and niches within a larger open-plan space, creating the opportunity to mingle or seek solitude. 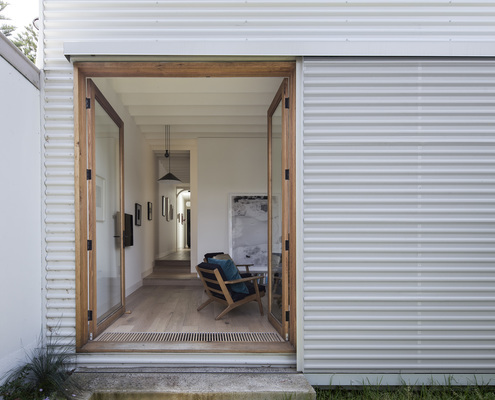 Carlton House by Tom Robertson Architects A Double Height Space Brings Light Into This Previously Dark Cottage And he said, 'Let there be light', and there was light. 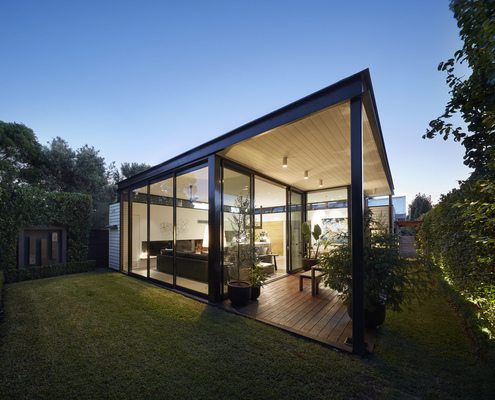 Thanks to a new double height space, this cottage is transformed. 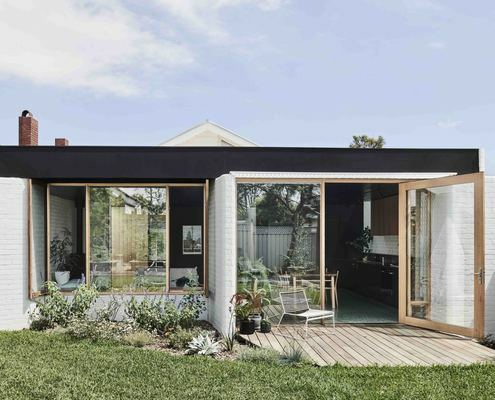 McGunnigle Shack by mishack When Fans of Mid-century Design Saw Mishack, They Saw a Kindred Spirit This modern home captures the spirit of mid-century design, with a taste of American diner-style breakfast booths for good measure. 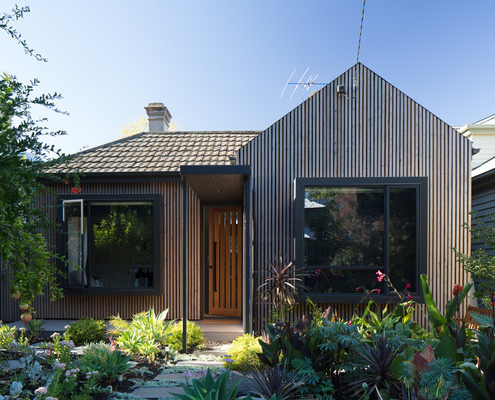 Melbourne Vernacular by Sustainable Owners Renovate with Minimum Carbon Footprint With a passion for sustainability, these owners salvaged whatever they could to reduce the carbon footprint of their renovation. 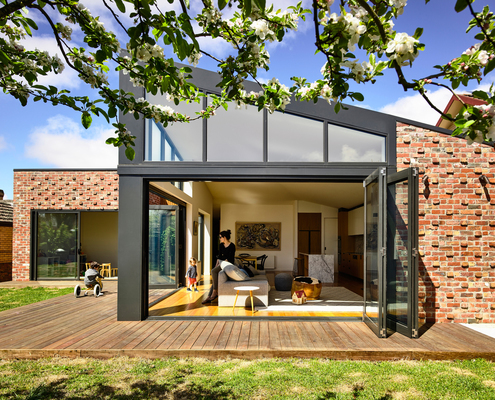 Cubby Office by Krisna Cheung Architects School Holidays Are No Longer a Nightmare for These Working Parents Cubby Office to the rescue! 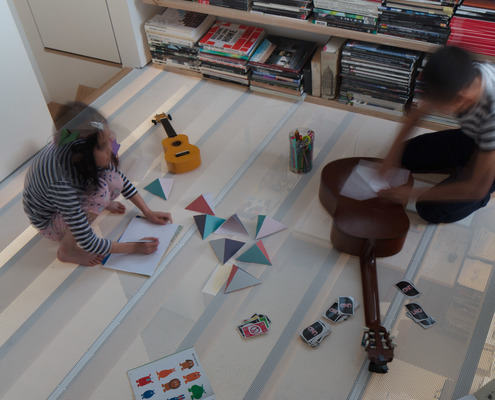 A fun, connected, yet separate space for the kids to play while the parents get back to work.